This function allows the users to provide details of the process that will be used to generate the Total Expenditure Report. Roles Involved: MOE Scholarship Section - Verifier, Statistician, Finance Officer and Administrator. Navigate to Main Menu > Student Financials > Scholarships and Bursaries > Reports > Total Expenditure Report. In the Add a New Value tab, enter any value (e.g. 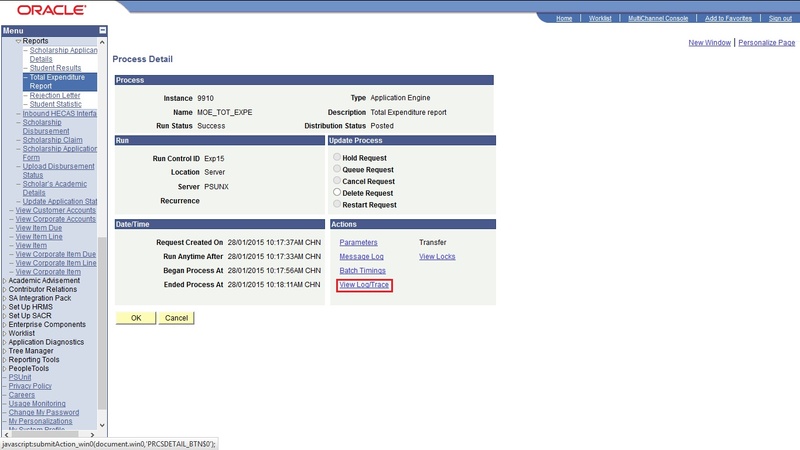 Exp15) in the Run Control ID field. You will be directed to the Total Expenditure Report page. In the Parameters grid, enter the values in the Academic Institution, Student ID and Scholarship Code fields. You will be directed back to the Total Expenditure Report page. 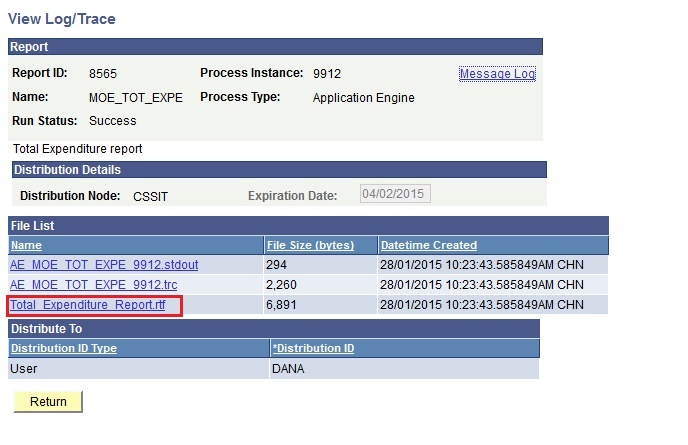 Take note of the Process Instance number then click on the Process Monitor link. Click on the RTF file created and user will be directed to a Word document page. Verify the information.